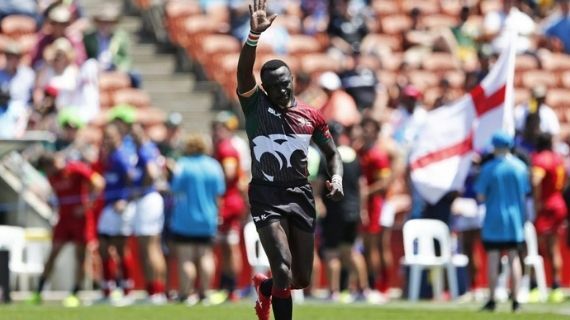 The national rugby sevens team selectors have named a squad of 44 players ahead of the new season which is set to kick off with the Africa 7s next month. The selectors have picked 31 players from the recently concluded national sevens circuit while 10 more have been called up for performance assessment having been part of the group last year. Three more have been included in the list but will not be available immediately due to injury and other commitments. National Circuit overall MVP Eliakim Kichoi leads the list of rookies called up which also includes top try scorer Mark Wandetto among others. The experienced group which has been called for performance assessment include Andrew Amonde, Brian Tanga, Collins Injera, Dan Sikuta, Eden Agero, Frank Wanyama, Eric Ombasa, Nelson Oyoo, Billy Odhiambo, Jeff Oluoch, Herman Humwa and Willy Ambaka. There is no room for immediate former captain Oscar Ayodi, his Nakuru RFC teammate Oscar Ouma and Nondies’ Dennis Ombachi . The team will get in camp to start preparations for the Africa 7s after which the team will return home for the Safari Sevens Scheduled for November 10. From then, the team will get ready for the World Sevens Series which begins on November 30 in Dubai. Meanwhile, a new head coach is expected to be named soon with current coach Innocent Simiyu’s contract set to run out next month. Simiyu’s final assignment as the national team coach was selecting the team of 44. The squad is set to have their trials and initial assessment tests this weekend after which the final squad will start their preparations for the Africa Cup Championship in Tunisia before embarking on the 2018/19 HSBC World Rugby Sevens Series in December. Brian Wandera, Charles Omondi, Alvin Otieno, Michael Wanjala, Johnstone Olindi, Leonard Mugaisi, Mark Wandetto, Jeffrey Oluoch (Homeboyz), Eliakim Kichoi, Ronnie Omondi, Daniel Taabu, Matt Wanjia, Collins Injera, Billy Odhiambo (Mwamba), Benjamin Marshall, Oscar Dennis (Nondies), Harold Anduvate, Derrick Keyoga, Erick Ombasa (Menengai Oilers), Philip Kwame, Monate Akuei, Geoffrey Ominde, Gramwel Bunyasi, Nelson Oyoo (Nakuru RFC), Timothy Mmasi (Masinde Muliro University of Science and Technology), Paul Mutsami, Mark Kwemoi, Samuel Motari, Samuel Oliech (Impala), Andrew Amonde, Shaban Ahmed, Vincent Onyala, Arthur Owira (KCB), Frank Wanyama, Cyprian Kuto, William Ambaka, Eden Agero, Herman Humwa (Kenya Harlequins), Brian Wahinya, Arcadius Khwesa (Blakblad), Edmund Anya (Strathmore Leos), Brian Tanga, Daniel Sikuta (Kabras Sugar RFC), William Reeves (South Africa).